The direct vendor makes no warranty or representation, expressed, implied, or statutory with respect to the contents or use of this documentation, and especially disclaims its quality, performance, merchantability, or fitness for any particular purpose unless stated by EPIC LED. a. The buyer receives the 14 Day Limited Exchange Warranty since the date the product was received. b. Underwrite Section 1a states in sense of providing service of providing parts or exchange of the whole product when the product malfunctions. EPIC LED cannot warranty the product when EPIC LED’s manufactured product has malfunctioned due to extraordinary weather conditions such as; hurricane, typhoon, tsunami, earthquake or such in that matter or damage caused due to misuse, abuse or unsafe electrical conditions of the product. a. The buyer receives a limited 1 year factory warranty when purchasing a EPIC LED product. 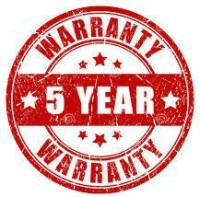 An extended 5 year factory warranty can be received upon completion of the extended warranty form. b. Underwrite Section 2a states in sense of providing service in parts, not an exchange of the product when the product malfunctions. EPIC LED cannot warranty the product when EPIC LED’s manufactured product has malfunctioned due to extraordinary weather conditions such as; hurricane, typhoon, tsunami, earthquake or such in that matter or damage caused due to misuse, abuse or unsafe electrical conditions of the product. a. EPIC LED will not provide service in relation to labor such as: installation, re-installation, or delivery. b. In the case in which the LED sign cannot be repaired by the product holder, the sign can be sent in for repair in which the product holder is liable for all shipping charges. Permanence. Stability. Strength. These are all themes that can be found in your church's messaging. These qualities are part of our business philosophy as well. At National Signs, our signs are built to withstand. So, no matter what the message, your sign will deliver it faithfully for many, many years to come. We strongly back the quality and durability of our LED message center signs with an unprecedented 5-year warranty on all parts and labor. And with our 60-month financing program, you can have a worry free sign for one low monthly payment. If you are looking for a sign vendor that takes stability and strength as seriously as you do, contact National Signs. Let's build a legacy together.